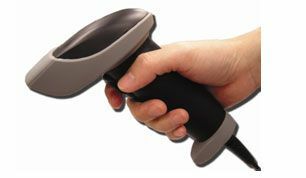 The VersaScan Long Range CCD Bar Code Scanner is specially designed to deliver high-end performance with the scanning range from contact to 15 inches depending on the bar code density. The scanner utilizes advanced scanning & decoding technology. The scanned data is formatted to meet the user needs. This rugged scanner is lightweight and designed to fit comfortably in the hand for extended periods of use. The cable is detachable for easy replacement or change of interfaces. or call (541) 601-8282 for more information on the VersaScan Bar Code Scanner.